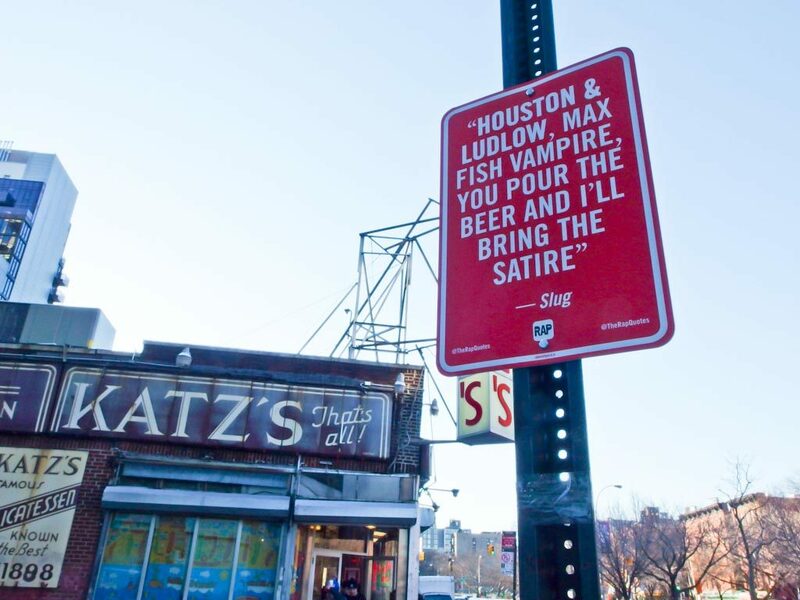 In an attempt to bring some such needed humor to the streets of major cities, a man named Jay Shells began the clever project of creating rap-lyrics street signs, all of which contain specific locations in New York, Los Angeles, Philadelphia and Atlanta; and posting them for show at the site of the street corners mentioned. While many if not all of the signs posted have been removed, vandalized, or stolen- Shells is continuing to pursue his dream all across the United Status, with the eventual plans of going over seas to continue with his entertaining mission. 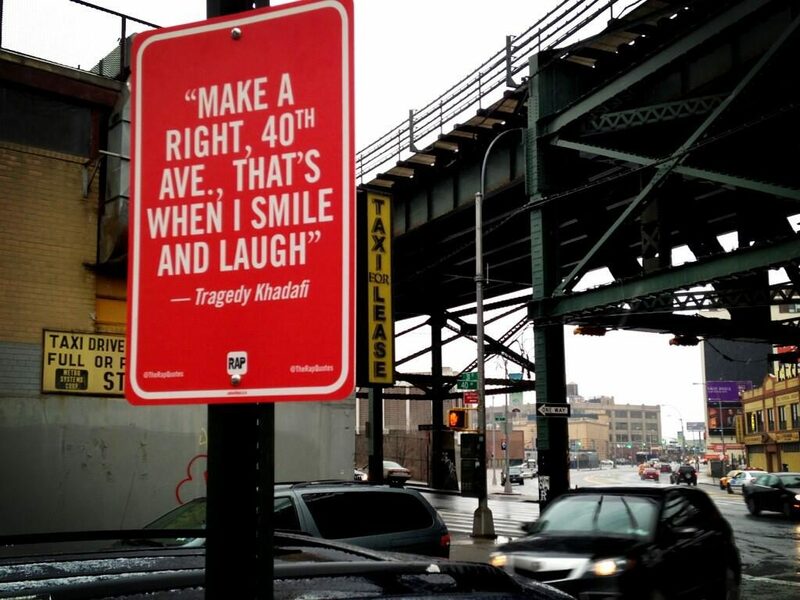 Indeed, his signage project is considered to be one of the greatest hip-hop themed street art project of all time. The following are few of the many street signs which Shells himself has printed and posted along the roadways of these major cities.